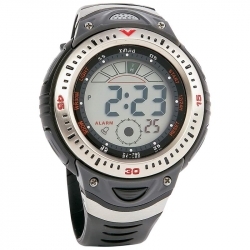 Mitaki-Japan(R) Men's Digital Sport Watch features date function, stopwatch and light. Waterproof up to 98' (30m). Not intended for children under 13 years of age. 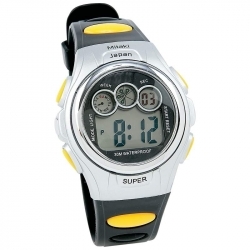 Features date function, alarm with snooze, hourly chime, stopwatch, light, polyurethane band, and clear display case. Case measures 2-1/8' x 3-1/4' x 3-3/8'. Not intended for children under 13 years of age. White box. This traditional watch carries a timeless spirit that's normally only passed on from generation to generation. 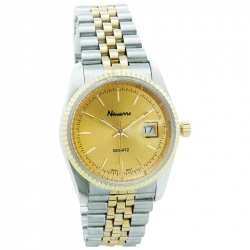 Each watch features Japan quartz movement, famous for its accuracy and date. 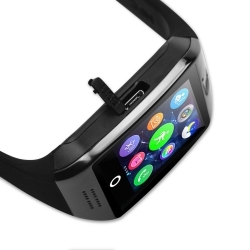 The stunning band is two-tone stainless steel and the watch is packed in a velveteen pouch. Limited 1 year warranty. Not intended for children under 13 years of age.